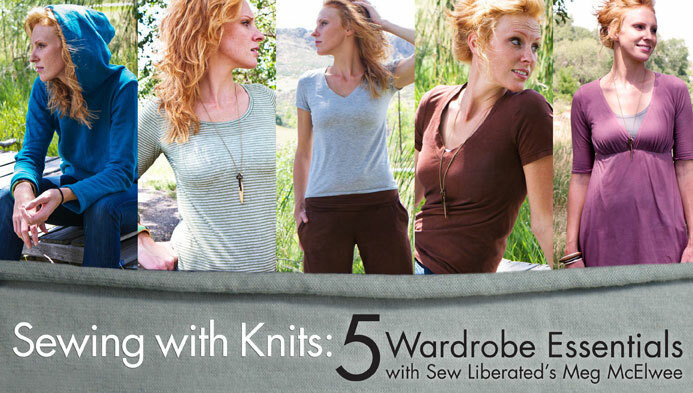 I’ve been taking a class on Craftsy.com called Sewing with Knits: Five Wardrobe Essentials, with Meg McElwee. 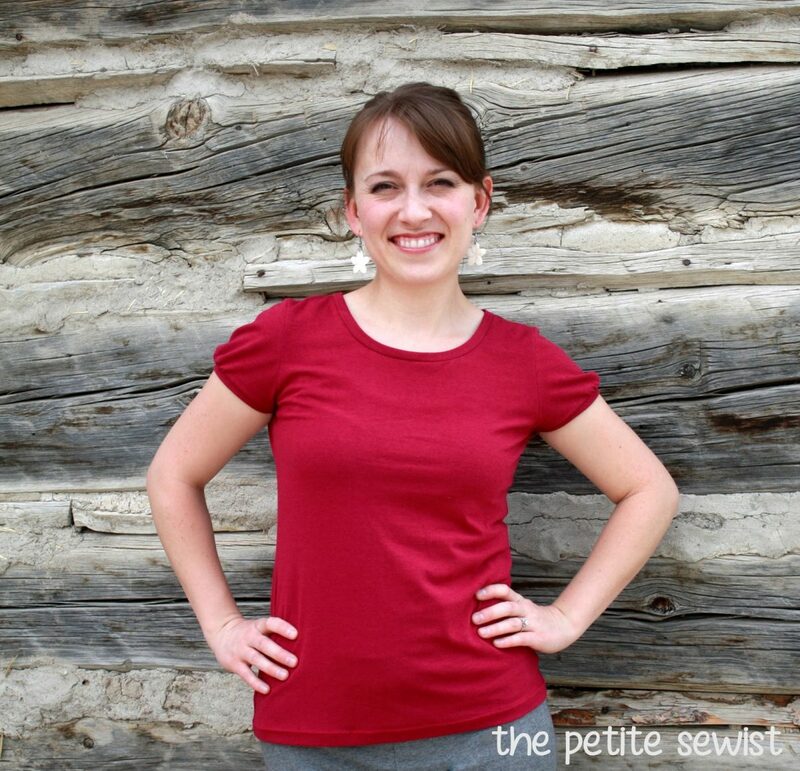 Meg is a great teacher and her tips for sewing with knits have given me new confidence to try knit projects that are a little less ‘safe.’ The first of her projects I tried is the scoop neck t-shirt. This pattern is only available by downloading the PDF pattern that comes with the class. Totally worth it! 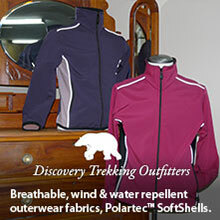 This fabric has a wonderful soft hand and has about 50% stretch. I cut out a large. Previously, I cut out a small for my muslin and it was WAY too small! Although, the first time I used fabric with only 35% stretch. So with the proper 50% stretch fabric recommended, I still had to use one size bigger than my measurements called for. I wanted a neckline in between a jewel neckline and a scoop neck, so I brought the neckline up until it was about two fingers below my collar bone. I had to re-figure the length of the neckline band. I added sleeve gathers to the edge of the sleeves by adding fullness at the bottom. I finished them with a sleeve band around the bottom. It is the same width as the neckline band. I used a serger for the seams and the sewing machine for the neckline and sleeve bands. I used Design Plus to finish the shirt hem. Works like a charm! I was surprised how forgiving this bamboo knit was. I didn’t use a walking foot this time around, and the neckline looks nearly perfect. I’ll have to learn how to use it next time. I will definitely be making this pattern again, and changing things up with added details. I think this will become a staple for my wardrobe. I just love how soft this t-shirt is and how well it fits! I've been enrolled in this class for over a year! I need to get on it because this looks like a very comfy, easy tee to make. Just take the plunge and give it a try! If you make a mistake it's just fabric.